Friday, April 24 was my 26th birthday. I didn't want anything for my birthday, the key word being "thing," as I'm continually striving for minimalism and definitely don't need any things. I have more than enough already. 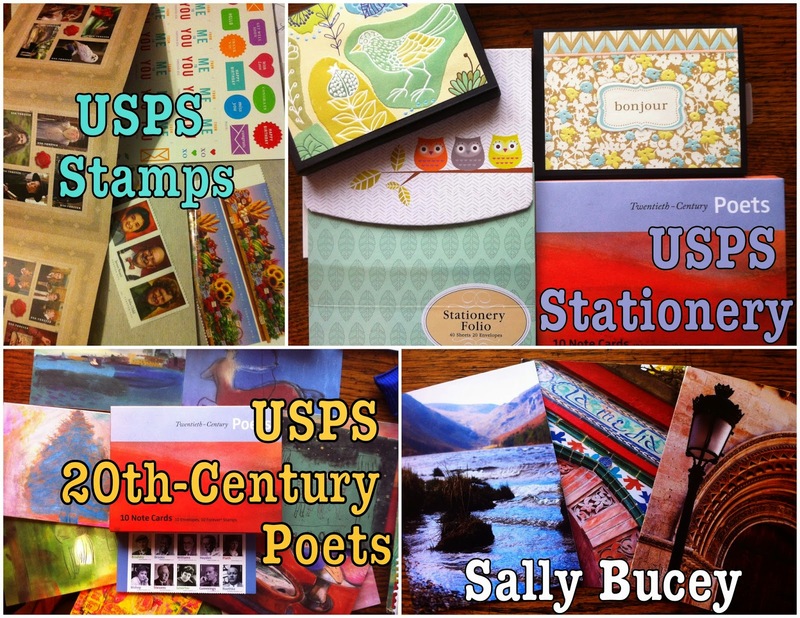 But, I did treat myself earlier in the week by stocking up on new stationery and stamps from the United States Postal Service, and some cards featuring Sally Bucey's photography. 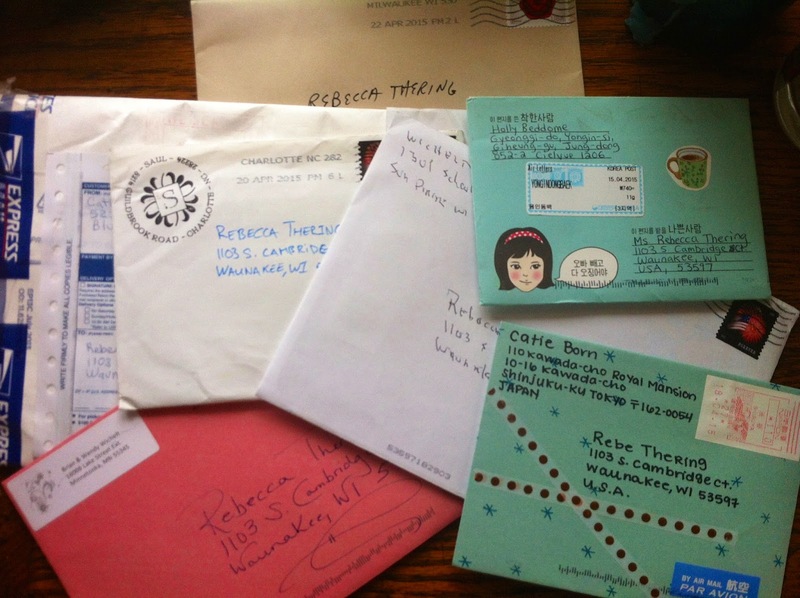 I'd gone through much of my stationery and stamps during this month's #Write_On challenge (which I've already completed! ), so this supply should last me a while. Ordering stamps online from USPS is so simple, and since they're delivered by the U.S. postal service, shipping is super cheap. It also gives you a huge selection of exciting stamps to jazz up your envelopes. I woke up on Friday morning to discover upon opening my bedroom door that there was colorful crepe paper hanging down the doorway. Mom used to decorate our rooms with crepe paper and balloons the night before our birthdays when we were younger, but papa was to thank for this birthday surprise. Our mail usually comes sometime after noon, so I was a bit surprised again when the doorbell rang around 11 and I saw the post office car in our driveway. A friend had sent me a next-day Express mail envelope that needed to be signed for, so our mail lady just brought all of our mail with her then, instead of making a second trip later in the afternoon. 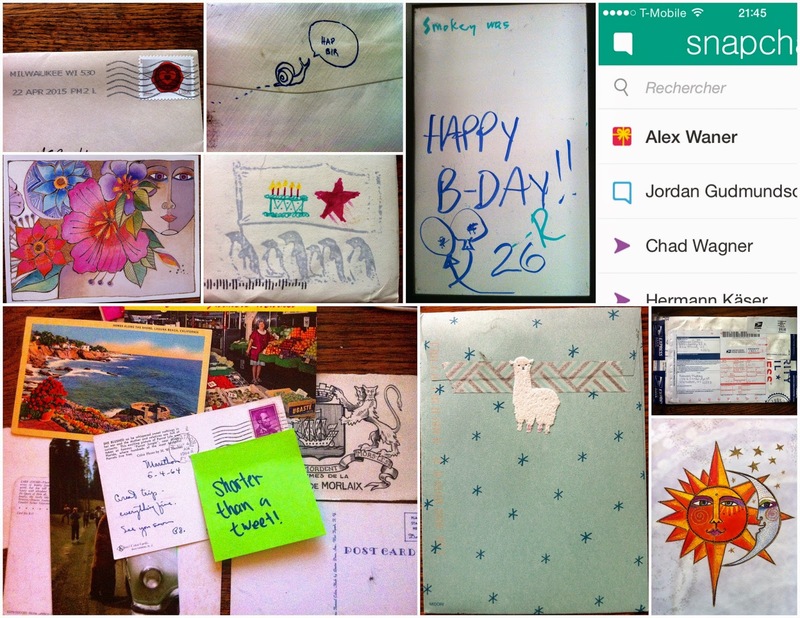 Look at this crazy postal birthday miracle! Included in that pile is a letter from a new penpal in Korea, who had no idea it was my birthday, and a letter from my friend in Japan, who also had just written because. Yet somehow both were delivered here on my birthday! There was also an unexpected birthday letter with a bunch of awesome vintage post cards. My parents took me out to dinner in the evening, and then later that night I got drinks with two friends. On Saturday, I went bowling with some friends in the evening, and on Sunday my older brother and sister, grandma and aunt came over for dinner. 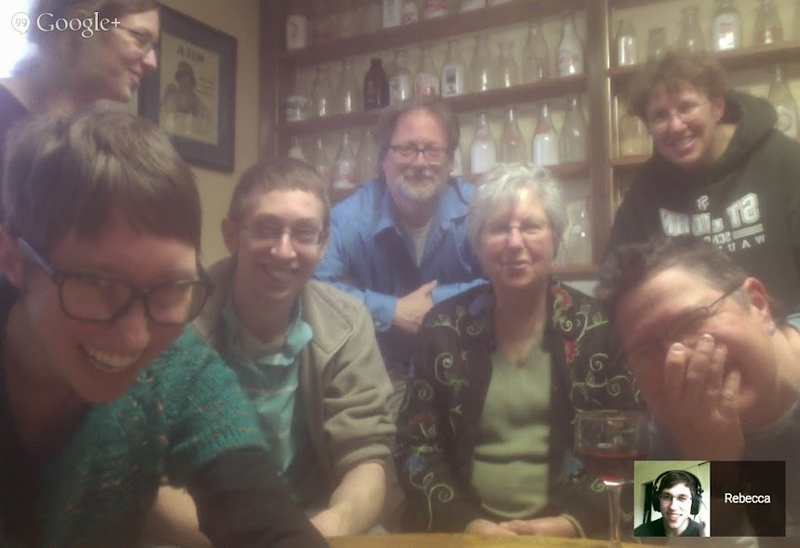 We G+ed with the little brother, so that was fun to "see" everyone before I leave tomorrow. If you want to support the organization, or help celebrate my birthday by donating, here's where you can make a donation (click "Donate Now"). Thanks to all who helped celebrate my 26th! I got your postcard today and got to see the first of five 'chef stamps'. Thank you! I'm looking forward to the next four :) Looking at your picture above, one of the others is James Beard. He's basically credited as giving American TV personality chef's their start (including Julia Child). The Oscars of the culinary world are actually named after him: http://www.all-food-considered.com/2013/05/rating-systems-in-culinary-world.html. Happy birthday, Rebe! Nice collection of pictures to remember the day by. 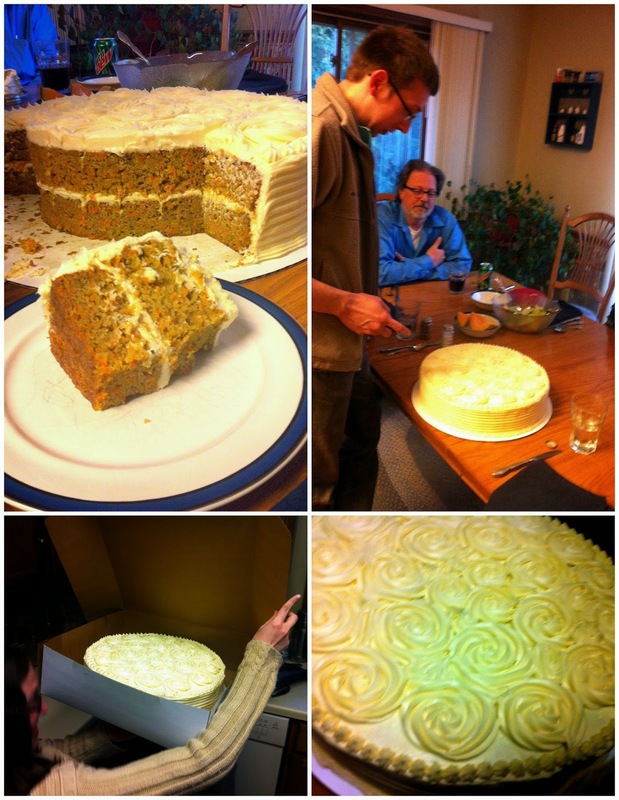 And T.J.--what a cake; holy cow!! I want some. Thanks! Maybe he'll still have leftovers in his freezer the next time you're in Madison... Maybe.